When musicians play in Anchorage, they stop by KNBA! Whistling Swan Productions presented Porter-Nickerson shows in Alaska and the duo stopped by KNBA's morning show for a Live In-Studio session with Danny Preston. 8:35am Live In-Studio session with Porter-Nickerson hosted by Danny Preston. 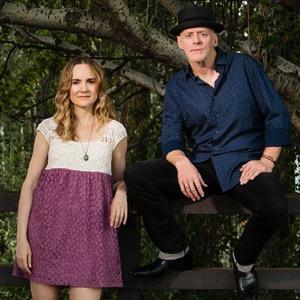 Porter Nickerson are a duo that embody the best of what live music has to offer: heart, grit, and the kind of raw musicianship that transforms listeners into long-time fans. Willy Porter’s seering finger-picking guitar style deftly blends with Carmen Nickerson’s lush vocals to create an unforgettable sound that resonates long after the last chord fades. Aoife O'Donovan is in Alaska for a few shows and she joined our Morning show for a Live In-Studio session Thursday November 3, 2016. Find more Artist information at Anchorage Concert Association.